(MoneyWatch) Microsoft (MSFT) isn't only releasing Windows 8 this week -- it's also the week that you can buy the software maker's very own take on the iPad, the Surface. 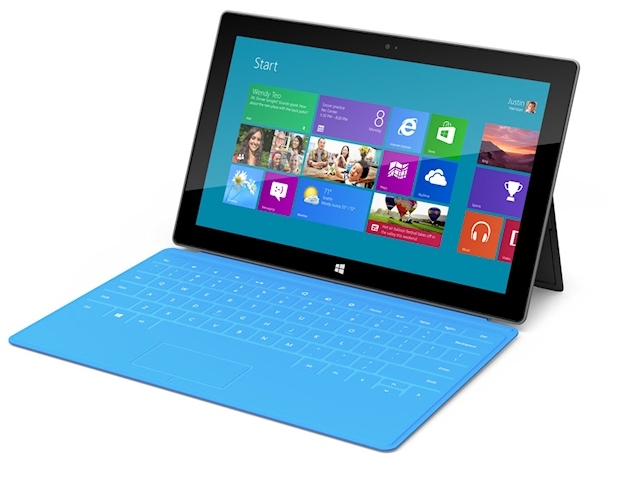 In principle, the Surface is Microsoft's vision of the perfect meld of Windows 8 and a touch-friendly slate device. This much is true: If Windows 8 doesn't deliver the goods on the Surface, Windows 8 simply hasn't got anything to deliver, period. You can pre-order now, though forget about getting the device on Friday; Microsoft says that all models are back-ordered by at least two weeks. Although many pundits have opined on the Surface, the reality is that very few people have yet had an opportunity to spend more than a few minutes with the device, so it's hard to say exactly what the experience of using a Surface will be like. Even so, it's easy to pull together some important observations that you should factor into any decision to buy your own Windows 8 slate. Microsoft's Surface tablet: Worth waiting for? There's more than one Surface. Lost amid the hoopla over the launch of Windows 8 and the Surface is that there are two models of the tablet, and the version debuting Friday is only the first one. What you can buy this week is the Surface running Windows RT, which means it won't be able to handle any of the traditional desktop apps written for the x86 processor. That means games, Photoshop, backup software -- you name it -- won't work. Surface RT is mainly intended to run modern apps, so you're limited to the lightweight selection of software in the new Windows Store. A full-featured Surface running the full version of Windows 8 is coming early next year. You might want to wait for that one, but remember that you'll probably pay a serious battery-life penalty for the privilege of running desktop apps. The Surface RT is more limited, but it'll behave more like the iPad. You'll get (most of) Office. Remember how I just said that existing desktop apps won't run on the RT version of Windows? Well, Microsoft has engineered a version of Office that can run on Windows RT, and it comes with the Surface. I'm not talking about a modern "Metro" Office app -- this is a real desktop version of Office. One catch: There's no Outlook, so you'll need a different email client to get mail, such as the modern Mail app that comes with Windows 8. The RT version of Surface is not business-friendly. Microsoft might generally optimize its products for the enterprise, but Windows RT -- and the first version of the Surface that runs it -- will not be very accommodating to the business world. As mentioned, the Surface will ship with an RT-optimized version of Office that lacks Outlook. Even if you can somehow work around the lack of an enterprise-ready email client, the version of Office you get -- Office 2013 Home & Student -- is not licensed for business use. Finally, Windows RT can't be "domain-joined," so there's no way to get on the corporate network. The fancy keyboard cover costs extra. One of the things that wowed the media when Microsoft unveiled the Surface a few months ago was the cover. It has a keyboard built in that resembles Logitech's iPad cover. But beware -- Microsoft has a confusing array of cover choices. If you visit Microsoft's pre-order page, you can get the 32GB version with a "Touch Cover" for $599 and the 64GB version for $699. That's great, but there are two covers: Touch and Type. The Type Cover uses tactile keys and is better for touch typists, but you can't order the 64GB Surface with the Type keyboard unless you also buy the Touch Cover you probably don't want. That's a waste of $100. Finally, since the Surface is obviously running Windows 8, be sure to check out five reasons to upgrade to Windows 8 and 5 reasons not to upgrade.